Okay, so you’ve finally settled on a date for your wedding and booked the venue you’ve been dreaming about ever since you first slipped on your engagement ring. Now it’s time to decide on the perfect wedding invitations. 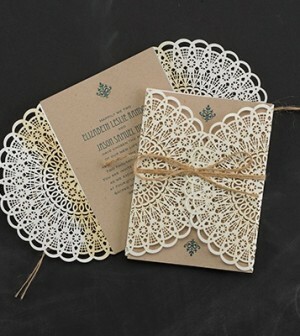 Invitations do more than just invite people and provide them details on your upcoming nuptials, but can set the tone for your wedding. And since you’ll probably keep one in your wedding book, it’s going to become a valuable keepsake for you and your husband one day. But with so many options to choose from, your head is spinning as you try and narrow it down to your Top 10. 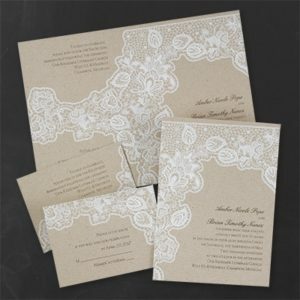 To relieve some of your stress, here are some helpful hints to help make choosing the best wedding invitations easier! Even though you have the perfect theme inmind for your wedding, know that this can all change once you start looking at invites. You’ll see others that you absolutely love, so being open about your theme will make the process a lot easier instead of stressing out over finding the perfect invite for a theme you’ve set your mind on. 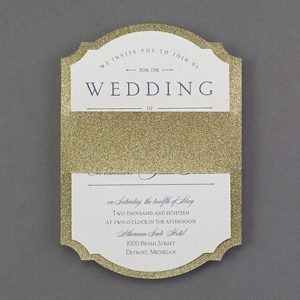 And to go even further, your chosen color schemes can change after looking at wedding invites. You might see a color combination that you absolutely love, which can change the rest of your wedding planning. 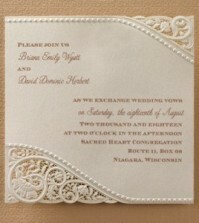 Know what colors you’d like and then alter your decision after you find invites that match the colors you’re going for. Weddings aren’t cheap and invitations are pretty pricey. When invite shopping, it’s wise to compare prices on the Internet so that you get the best deal possible. Ask if the printer or vendor can provide a free invite sample so that you know what you’re getting and see if they’ll even throw in free shipping. 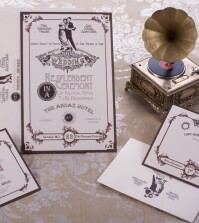 The style of the invite will set the tone for your wedding, so everything from the wording, paper type, font and texture of the paper will shape how your guests perceive your wedding. 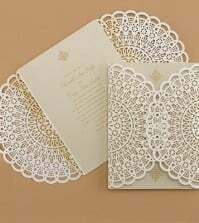 Although there are no rules about the design of your wedding invite, there are guidelines that will help you create the perfect invite. As your vendor for examples of other invites and for their input as to what fonts and paper choices would work best with your budget and the look and feel you’re going for. 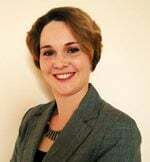 Their professional eye can really help you narrow down your choices when you’re overwhelmed with so many. 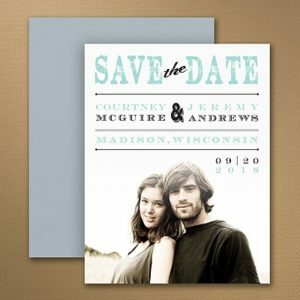 Even before you choose your wedding invites, you should pick out some save-the-dates. These go out six to eight months before the wedding, according to The Knot. Although they don’t have to match your invites, if you order everything from one place you might get a larger discount then if you were to purchase them from different vendors. Best for Bride offers brides a place where they’ll find everything they need to make their big day that much more special. They’re literally a bride’s one-stop bridal store that provides excellent customer service for brides and their bridal parties.